Today it’s all about Google, Google+ to be more exact, the industry giant’s attempt to “fix” the what’s broken with online sharing. A new product that has already been analyzed, dissected and labeled as “new Facebook competitor” be the tech media, so it’s pointless to restate the obvious. If you want to read Google+ reviews, head over to Techcrunch, Mashable, and ReadWriteWeb – these writers know the drill better than anyone else, and they all welcome Google+ with confidence and praise. 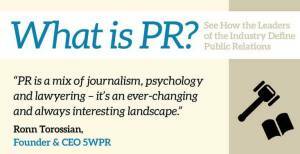 Everything PR is all about… public relations, of course. And we’ll try to answer some of the implicit questions: who is going to use Google+, and is this a Facebook killer? For the last question, the answer is simple: NO. People are beings of habit, and habits are hard to break. While Google+ does bring a few features currently not present in Facebook, like the video chat feature, currently the most interesting aspect of the product, and the only one that actually stands a chance, as it allows group video chatting, a feature that comes at a high price with other video chat products. Naturally, Google+ is free. Facebook failed at the chatting game so far. Even their current feature is naggy and annoying. As far as video chatting is concerned, sure, there are apps, like Rounds, but Facebook doesn’t seem to care about video – not yet. 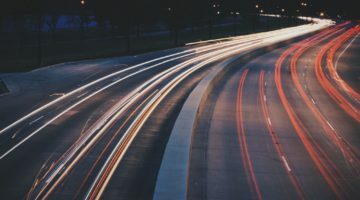 Yet Facebook is a business tool for many, and adding the option for marketers to communicate with peers on site, without the need to share date with a third party through an app, would increase the site’s benefits for the users. Google+ is one step ahead, and this leads to one of the many answers to the first question: who will use it. Goole+ is a cool product, as you see in the presentation video below, which will appeal to many users, from all walks of life. Because Everything PR addresses business owners, we only discuss how Google+ can be used for business. Due to its group video chat feature, and mobile capability, Google+ can be used for webinars, conferences, and business meetings in real time. Moreover, if Google+ does have a chance, that chance is mobile. The social web is Facebook, and will continue to be, as long as Facebook will know how to push. Basically, as long as marketers can find a use with Facebook, they will be shy about switching to Google+. But right now, Google+ doesn’t look like it can be used as a marketing tool. Personally I don’t see a number of “apps” to make Google+ more fun and engaging, and I don’t expect other ads (if any) than those already served by Google through its Affiliate and AdSense networks. Marketers cannot really target potential clients with “fan pages” – with Google+ they’ll need to figure out a way to use “circles” for the purpose. There’s another consideration this time around. Google’s other “social” attempts, including Buzz and Wave, have failed lamentably. That’s not to say that + will go down as well, but Google will need to push this time if they want to win the PR war. As far as the information web is concerned, Google is still the undisputed king, as Facebook rules the social web so far. Can Google+ dethrone the current sovereign. I doubt it. It’s not that Google+ is an inferior product – in fact it’s an amazing innovation, judging by the tech reviews. But Google is a cocky enterprise. Its management always believed that if they built something, people will just adopt it. Google rarely used campaigning to promote their innovations. They never really offered incentives – other than free AdWords dollars to small businesses. With Google+ this has to change. Google simply has to keep this product as long as possible in the headlines if they want to succeed.